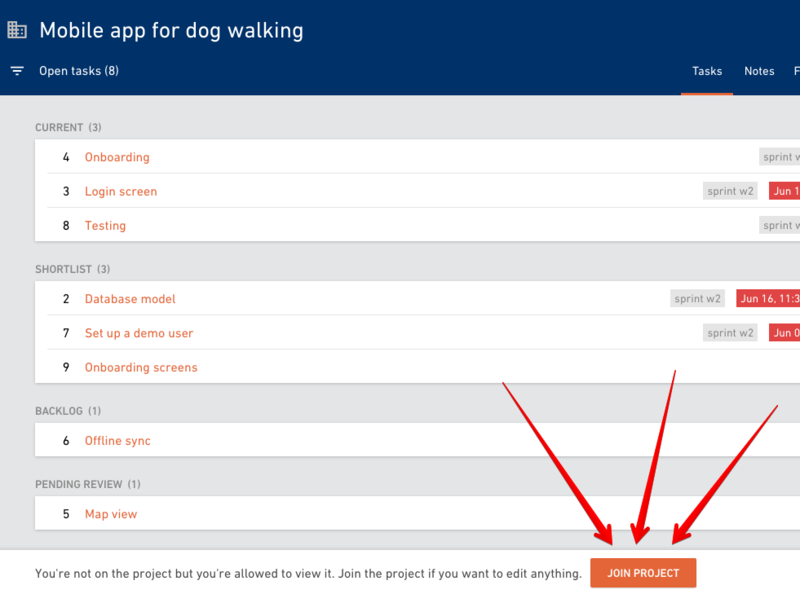 To join a project, select a project from the list and click on the Join project button in the bottom. 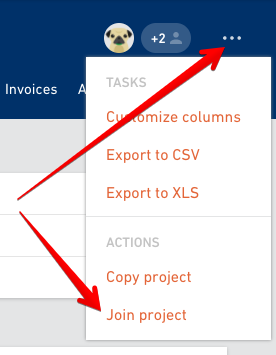 If you miss the button on the bottom, you can always find Join project option in the project menu. 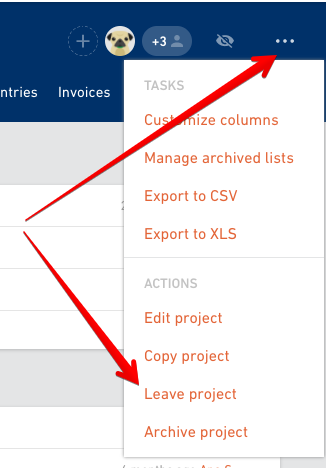 If you decide to leave a project, this is the same place you want to go to. A person without an Admin or a Manager role will only be able to see the list and join any public project. If you're not an admin or manager and need to join a private project, you need to be invited to the project. Admin or Manager will be able to see and join both public and private projects. 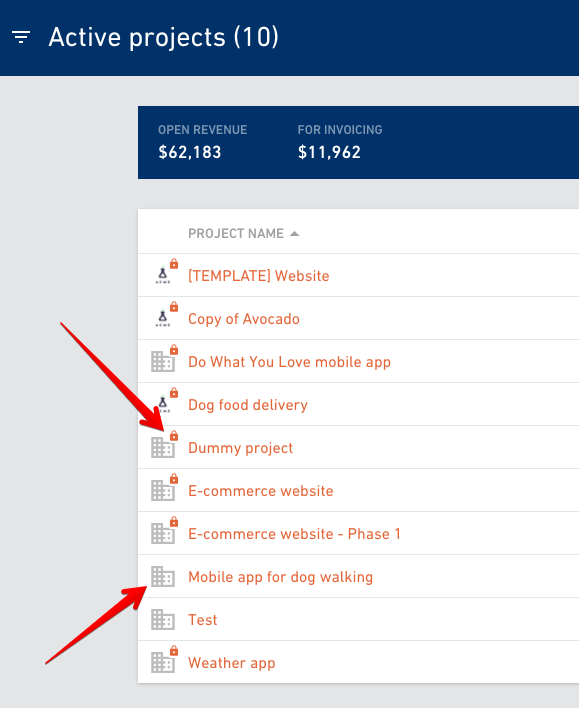 Private projects are marked with a lock icon on the list.